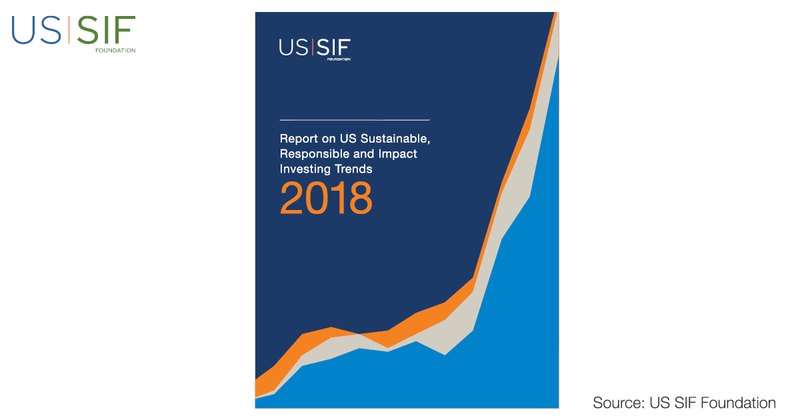 In this issue of our weekly newsletter we brought you two important Top Stories that capture the state of sustainable investing from varying points-of-view. We selected these research efforts for their value to both corporate managers and investment professionals. Corporate staff can use the findings to “make the case” upward to C-suite and boardroom using both documents. Investors not yet on board with Sustainable / ESG investing can gain valuable insights from both reports. MSCI examines the changes in companies ESG scores, “ESG momentum” — either strong or negative for the companies being rated. Using the firm’s model, the research showed that markets reacted “most sensitively” to improvements in a public company’s characteristics rather than to declines in ESG performance, among many other takeaways in the full report. The takeaway is that changes in ESG profiles of companies certainly affect company valuations. The change in ESG characteristics showed the strongest move in equity pricing over a one-year horizon compared to shorter or longer time frames. The report contains a well designed, thorough methodology which clearly demonstrates the importance of a public company’s ESG profile. The MSCI score, the authors point out, is a proxy for the ESG-related information that the market is processing. (All MSCI ESG scores are updated at least once a year.) There’s good information for both corporate managers and investment professionals in the 25-page report. 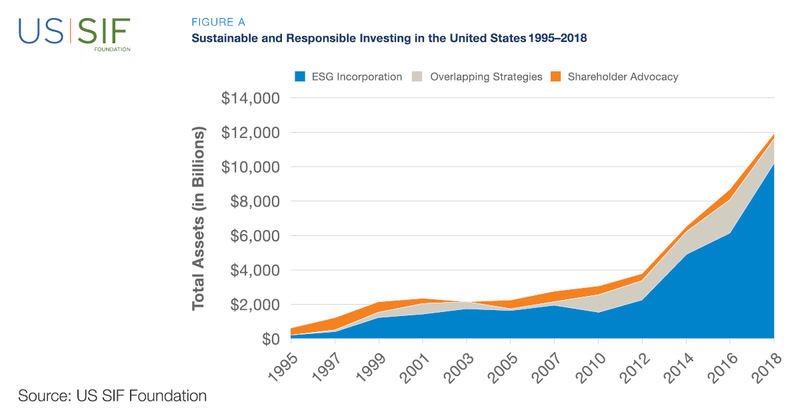 The report charts the evolution of corporate sustainability reporting, which got off to a modest start in the 1980s – then on to the 1990s when corporate sustainability reports as we know them today as investors and companies adopted ESG or Triple Bottom Line approaches. Key: Another transition is underway, writes author Kwon, the “value creation” (a/k/a shared value) which should lead to more holistic reporting of inputs and outputs…and the emergence of the integrated report. In 2013, IRRCI had Si2 look at the state of integrated reporting among the S&P 500® companies and examined practices again for this year’s report. (The earlier work focused on what companies were reporting without regard to status as “mandated” or “voluntary” disclosure.) Much progress has been made – for one thing, investor attention on ESG matters is much higher today…making corporate sustainability reporting ripe for the next phase. 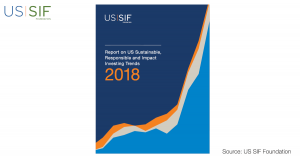 The details are set out for you in the IRRCI report including trends and examples in use of reporting frameworks (GRI, SASB, IIRC), Quality, Alignment with SDGs, Inclusion of Sustainability in Financial Reports, Investor Engagement / Awareness, Board Oversight, Incentives, and many other important trends. This an important comprehensive read for both corporate managers and investment professionals, with a sweep of developments presented in an easy-to-read format. Example: What drives ESG integration into investment strategy? The drivers are identified and presented in a graphic for you. Important note for you regarding IRRCI: in 2019 the organization’s intellectual properties will be assumed by the Weinberg Center at the University of Delaware. The center conducts research and holds conferences on corporate governance and related issues and is headed by Charles Elson, one of the most highly-regarded thought leaders on corporate governance in the U.S. The recently-launched Investor Alliance for Human Rights provides a collective action platform to consolidate and increase institutional investor influence on key business and human rights issues. Consider: The member institutions have AUM of US$400 billion and influence many other investors (depending on the issue in focus at the time). David is currently Chair, Advisory Board of the Global Social Compliance Program; member, International Advisory Network of the Business and Human Rights Resource Centre; member, RFK Center Compass Education Advisory Committee; UNICEF CSR Advisory Group; and, Coordinator (with ICCR member institutions) of the Bangladesh Investor Initiative (a global collaboration in support of the “Accord for Fire and Building Safety”. The organization has an Advisory Committee of Leaders in Business and Human Rights (formed in late-2016). Members include representatives of Boston Common Asset Management; Shift; Landesa; The Alliance for a Greater New York; Oxfam America; Mercy Investment Services; International Corporate Accountability Roundtable; and Global Witness. ICCR has a long history in Human Rights progress. The organization came together as a committee of the mainstream Protestant denominations under the umbrella in 1971 to organize opposition to the policies and practices of “Apartheid” in South Africa. Promoting greater access to medicines, including drugs for treatment of AIDS in Africa, and affordable pricing in the United States. On the corporate front, requesting greater transparency around lobbying by companies to influence climate change, healthcare and financial reforms, both directly and through trade associations and other third-party organizations. Opposing “virtual-only” annual corporate meetings that prevent in –person interaction for shareholders. Influence and Reach: The ICCR member organizations include the AFSCME union fund, Walden Asset Management, Boston Common Asset Management, Oxfam, The Maryknoll Fathers and Brothers, and Maryknoll Sisters, American Baptist Churches, Mercy Investments, Christian Brothers Investment Services (CBIS), Wespath Investment Management, Everence Financial, Domini Social Investments, Church of England Ethical Investment Advisory Group, Gabelli Funds, Trillium Asset Management, Calvert Group, Clean Yield, The Nathan Cummings Foundation, and other institutional investors. Savvy corporate managers of course “get it” and really make the effort to effectively respond to as many queries and surveys as possible. But what about the internal financial managers and outside accountants – are they involved? At some firms, yes, and other firms no — or not yet. The Big Four are tuned in to corporate ESG / sustainability disclosure and reporting. But many smaller CPA firms are not. We offer the perspectives of the Journal authors in our Top Story so that you can see what CPA’s will be reading in their Journal. 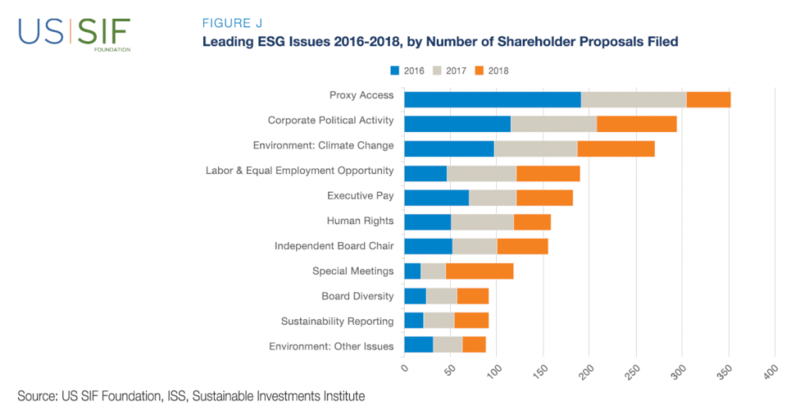 There are important points raised — but the three rankings examined do not cover the full breadth of the expanding universe of ESG rating organizations. And we are light years away from 2015 in terms of the rating agencies’ influence. The G&A Institute team assists corporate managers in responding to these important players and an ever-widening range of third-party ESG service providers. We’d like to share three basic observations with you and with CPAs: (1) the third party queries are becoming more probing in the information and data sought; (2) the corporate response effort is much more organized and thorough these days; (3) the results of both of these efforts are increasingly important to, and utilized by, the institutional investment community (both asset owners and their managers). So — the more information that CPAs have about sustainable investing and corporate ESG performance, the better equipped they’ll be to support their clients. The article is a good start in this regard. Every week G&A Institute assembles the value-added content that our team gathers for you as we closely monitor trends and developments in corporate sustainability, corporate responsibility, corporate citizenship, sustainable investing, and related topics and issues. Our Editor-in-Chief Ken Cynar leads the daily effort and you see the results of his work in each issue of Highlights (note we are on #406 this week). We hope that you benefit from this effort, part of our information-sharing and educational mission. Today’s question for corporate CEO’s: Have you examined your company’s “Total Impact Valuation,” a new approach being advanced by The Conference Board, wherein the enterprises’ impact on society is monetized (cost/benefit evaluated and value attached)? A small group of companies is doing these exercises. Think of their efforts to date as expanding the usual reporting of “Input/Output” to seriously consider (1) Outcomes, (2) Impacts, (3) Cost and Benefit to Society (and to the company). Such firms as BASF (the German chemical giant), cement industry leaders Holcim/Ambjua Cement and LafargeHolcim, Samsung, Akzonobel (materials), ABN AMRO (Holland, financial services), Volvo (vehicles), and Argo (materials, Colombia) have been doing something along these lines and reporting results for a few years now on web sites, in sustainability reports, in financial statements, in a “total contribution report” or “value-added statement”, and by other means. Some of these disclosures are third party assured (Argo’s is by Deloitte) and otherwise guided; the big accounting firms are involved (PwC and KPMG included). Thomas Singer, Corporate Leadership research leader at The Conference Board, presents findings of his sampling of firms (those identified above) and shares his perspectives on the concept in Chief Executive Magazine – it’s our Top Story for you this issue. BASF shares its “Value to Society” model (there’s a link to this in the article). The company, explains Singer, monetizes more than 20 different types of environmental, social and economic impacts, including direct and indirect suppliers and even customer industries. Author Thomas Singer turns out a good amount of strategic advice to company leaders and has been focusing more in his Director Notes on ESG and corporate sustainability. There’s links to his papers and publications for you in the link. A major drawback here in the U.S.A.: there is no standard benchmark for measuring progress or lack of, and to guide reporting; there is in turn no way to compare company “A” to “B” for investors, ratings analysts and others. The total value practice got underway in Europe – and we will be watching to see if U.S.-based public companies pick up on the concept. Especially those where their foreign peers have the modeling and techniques underway. That is what happened with corporate sustainability and ESG reporting over time.